If you’re thinking of moving your maintenance, repair and overhaul (MRO) business to Aerohub at Cornwall Airport Newquay, then you’ll be in good company. Apple Aviation, are one of the latest businesses to relocate to Aerohub. 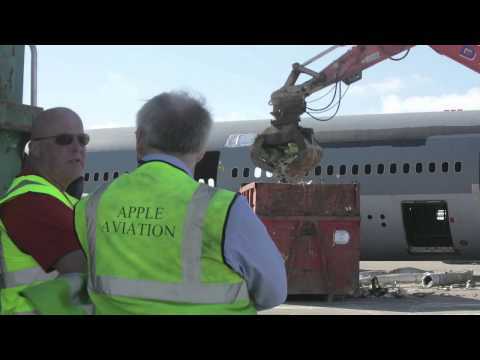 Apple is a CAA and EASA approved base-and-line Maintenance Company, which is also actively involved in teardown projects. Apple have recently moved into their newly built RUBB Hangar in Development Zone 2, with office space nearby. Apple’s new facilities within Aerohub provide them with a large, bespoke space for their increased operations. As well as the MRO hangar facility, Apple runs a bespoke teardown/parts processing facility, an aircraft parking area and management offices totalling 150,000 sq. ft. This has been part funded by the Government’s Regional Growth Fund. You can see why Apple Aviation have made Aerohub their new home. If you’re interested in finding out more about Apple Aviation, and would like to know about custom built hangars, contact one of the team at Aerohub now.